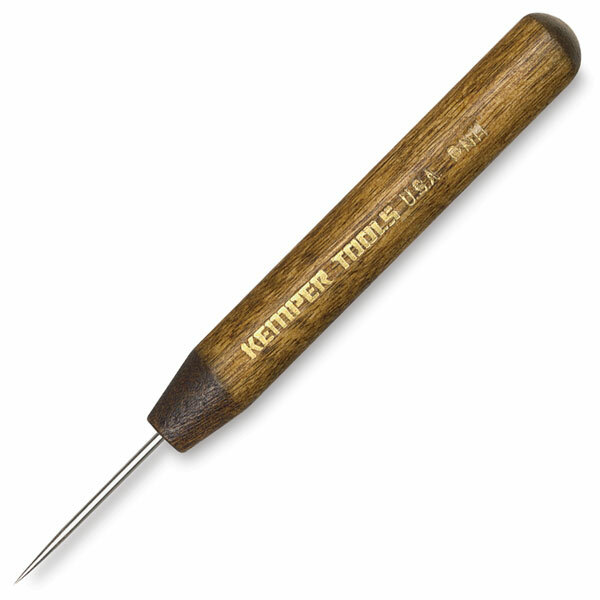 Kemper's Straight Needle is an ideal tool for sgraffito and delicate lace decoration. Needle is 5" (13 cm) in length. Wooden handle. ® Kemper is a registered trademark.